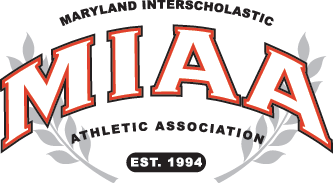 It was comparable to a playoff-elimination game at Calvert Hall on Tuesday, with the winner of the Loyola-Calvert Hall end of the season-rivalry game, earning a playoff berth and the loser going home. As it turned out, the Hall eliminated the defending conference champions, 6-3, on a sun-drenched day at Calvert Hall. Five different players scored for Calvert Hall, and Ryan Powers set the tone on offense, winning 11-of-12 face-offs. “I was really on the whistle,” said Powers. “It definitely helped going against [Stephen Kelly] every day last year.” Kelly was the premier face-off man in the region before graduating last spring and continuing his career at the University of North Carolina. Kelly joined in on the scoring in the third quarter, and Powers scored off a face-off in the fourth stanza. Coach Kelly praised the work of defenders Erik Evans, Michael Lanahan, goalie Joe McSorley, Matt Huertas, (“He’s been phenomenal”), Owen Dingman and Matt Burke. Goals: LOY-Jones 1, Lombardo 1, Smih 1; CH-Mintez 2, Kinnear 1, Brown 1, Kelly 1, Powers 1. Assists: LOY-Lombardo 1, Roesner 1; CH-Kelly 1, Brashears 1. Saves: LOY-Newton 12, CH-McSorley 10.